Owner of Willoughby Press, Printing and Publishing. Have retired from the printing side of the business but am still involved in the publishing side. 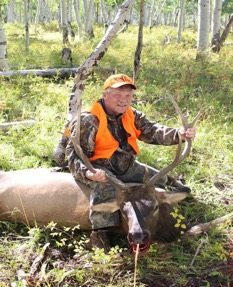 Have been working with Commemorative Bucks of Michigan (CBM) for over 35 years as publisher of Buck Fax magazine and have been involved in all ten volumes of “Michigan Big Game Records”, complete responsibility for editions 8, 9 and 10. Currently scheduled to publish the 11th edition in 2018 after the close of the 2017 CBM scoring period on March 31, 2018.